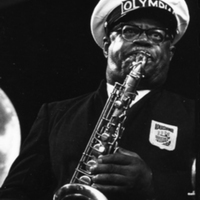 Image of saxaphone musician from Olympia Brass Band. 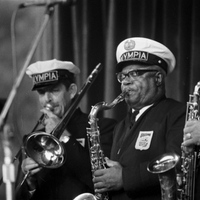 Image of trombonist and two saxophonists of Olympia Brass Band performing. 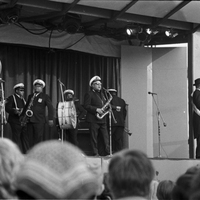 Image of Olympia Brass Band of New Orleans, Louisiana, performing on stage.